An operating system (OS) is an interface between hardware and user which is responsible for the management and coordination of activities and the sharing of the resources of a computer that acts as a host for computing applications run on the machine. The "Big Three" Operating Systems are: Windows, Mac OSX, and Linux, and the skilled consultants and technicians at A & S Technology Solutions are experts in all three. Microsoft Windows is the collective brand name of several software operating systems by Microsoft. Microsoft first introduced an operating environment named Windows in November 1985 as an add-on to MS-DOS in response to the growing interest in graphical user interfaces (GUIs).The most recent client version of Windows is Windows 8. Mac OS X is a line of graphical operating systems developed, marketed, and sold by Apple Inc.. Mac OS X is the successor to the original Mac OS, which had been Apple's primary operating system since 1984. Unlike its predecessors, Mac OS X is a BSD-based operating system. The most recent client and server version of Mac OS X is Mac OS X 10.8 "Mountain Lion". Linux is a family of Unix-like computer operating systems. Linux is one of the most prominent examples of free software and open source development: typically all underlying source code can be freely modified, used, and redistributed by anyone. 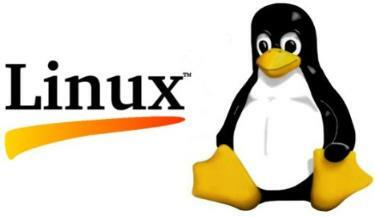 The name "Linux" comes from the Linux kernel, started in 1991 by Linus Torvalds. The system's utilities and libraries usually come from the GNU operating system, announced in 1983 by Richard Stallman. The GNU contribution is the basis for the alternative name GNU/Linux. Known for its use in servers as part of the LAMP application stack, Linux is supported by corporations such as Dell, Hewlett-Packard, IBM, Novell, Oracle Corporation, Red Hat,Canonical Ltd, and Sun Microsystems. It is used as an operating system for a wide variety of computer hardware, including desktop computers, netbooks, supercomputers, video game systems such as the PlayStation 3, several arcade games, and embedded devices such as mobile phones, portable media players, routers, and stage lighting systems. If you are thinking about switching your operating system, or simply need assistance with improved functionality of your existing one, our trained technicians can handle the job. We can assess your technology needs and make recommendations for optimizing your existing operating system or talk specifics on how to upgrade or switch out your system all together to ensure optimum performance.